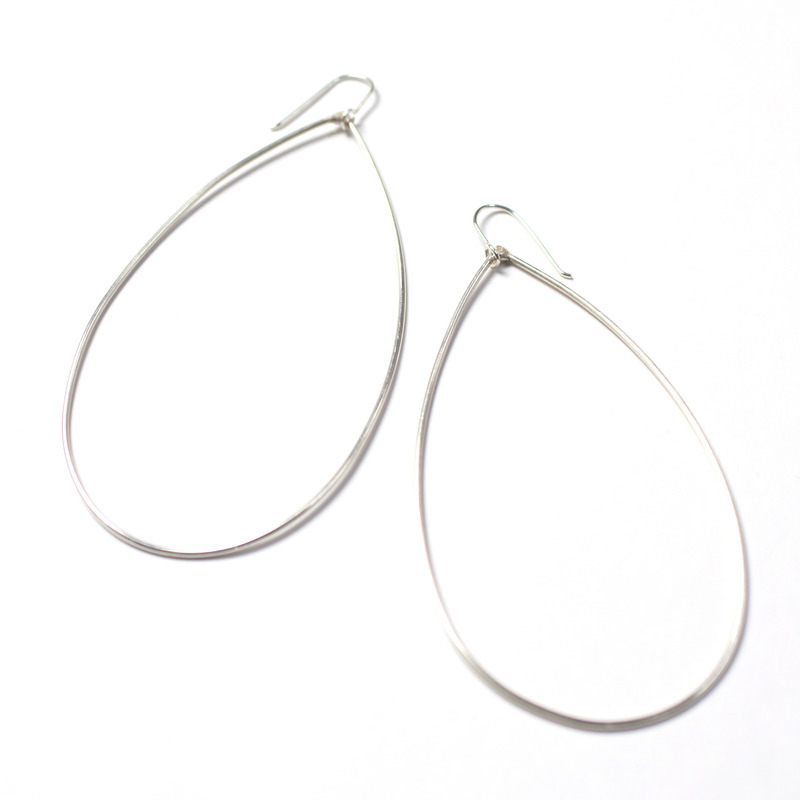 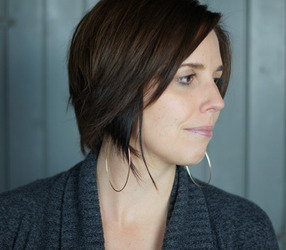 Every piece of megan auman jewelry starts with a simple coil of steel wire. The Maya necklace is the ultimate statement piece. 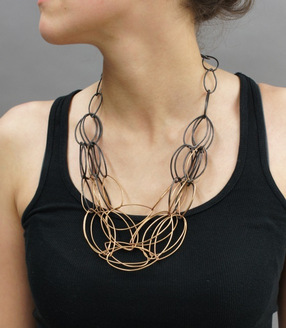 Instantly take any outfit from humdrum to WOW with gorgeous necklace. 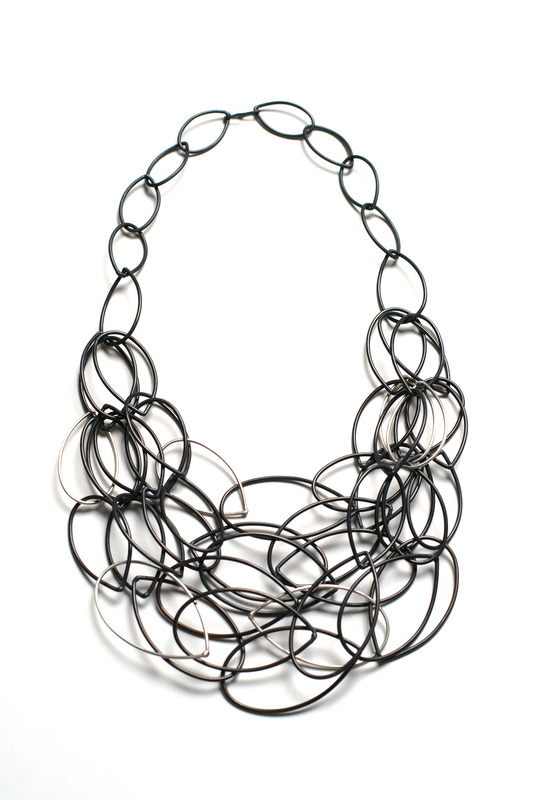 Made from welded steel wire, the Maya necklace is available in three options - steel with silver accents, steel with 14-kt gold-filled accents, or steel and bronze ombre. 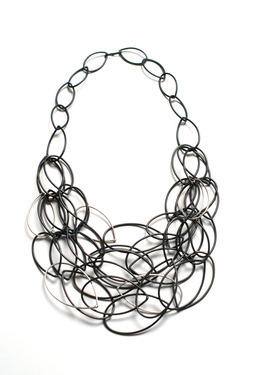 The Maya necklace is approximately 22" long, a great length for a variety of necklines. 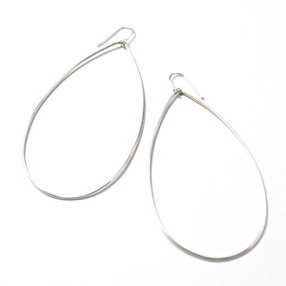 Don't let the size of these earrings fool you - they're simple and classic enough that they might just become your new every day pair! 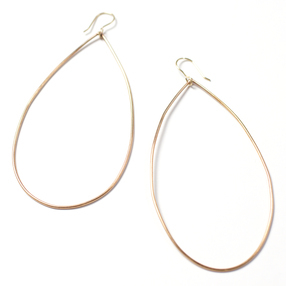 Available in three options - sterling silver, bronze with 14-kt ear wires, or 14-kt gold-filled - these earrings are lightweight enough to wear all day and easy enough to wear with everything. Each earring is approximately 4" long and comes packaged in a gift box - the perfect treat for yourself or a loved one!